WASHINGTON — At least for the present time, the U.S. Supreme Court has declined to hear the appeal of high school football coach Joe Kennedy, who lost his job in 2016 as school district officials decided not to renew his coaching contract in the midst of a battle over his desire to pray at the 50-yard line. Four of the conservative justices, however, did release a statement expressing deep concern over the lower court ruling, and said that a review may be warranted in the future. “[W]hen petitioner prayed in the bleachers, he had been suspended. He was attending a game like any other fan. The suggestion that even while off duty, a teacher or coach cannot engage in any outward manifestation of religious faith is remarkable,” he marveled. Joining Alito in his statement were Justices Clarence Thomas, Neil Gorsuch and Brett Kavanaugh. Chief Justice John Roberts was the sole conservative justice who did not add his name as concurring with Alito’s remarks. 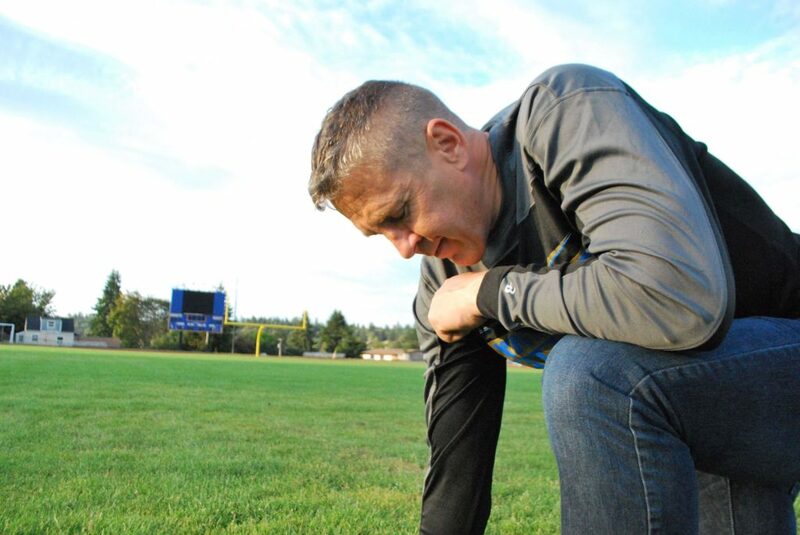 As previously reported, Kennedy, the former assistant head coach for the varsity team at Bremerton High School and the head coach for the junior varsity team, was placed on paid administrative leave in October 2015 when he prayed at the conclusion of the homecoming game despite an order to cease his practice. Kennedy told reporters that he began offering brief prayers on the field in 2008, then praying on his own. He was subsequently approached by several team members who asked what he was doing. In September 2015, the Bremerton School District launched an investigation into the coach’s practices, and soon sent a letter outlining that some aspects of his religious expression must cease. It noted that Kennedy not only prayed at the conclusion of each game, but also prayed in the locker room with students and staff. But although Kennedy agreed to discontinue the locker room prayer, his attorneys with the Texas-based group First Liberty stated that he had done nothing wrong in seeking to pray by himself at the conclusion of each game. They also opined that there is no constitutional violation in permitting students to join. As Kennedy offered a prayer the following month at the homecoming game, and was voluntarily surrounded by his team and scores of other supporters, he was consequently placed on paid leave unless he agreed not to pray at the 50-yard-line. Months later, in January 2016, the district decided not to renew his teaching contract, effectively putting him out of a job. In the meantime, the former U.S. Marine turned football coach filed a complaint with the Equal Employment Opportunity Commission, alleging workplace retaliation against his Christian expression in violation of Title VII of the Civil Rights Act of 1964. In August 2016, Kennedy’s attorneys also filed a federal lawsuit challenging his firing at the high school. However, U.S. District Judge Ronald Leighton, nominated to the bench by then-President George W. Bush, declined to grant an injunction that would have required the Bremerton School District to rehire Kennedy while his case moves forward in court. Kennedy appealed, but in August 2017, the Ninth Circuit Court of Appeals unanimously agreed with Leighton and likewise declined to grant the injunction. “In sum, if Kennedy were to resume kneeling and praying on the fifty-yard line immediately after games while in view of students and spectators, an objective student observer would see an influential supervisor do something no ordinary citizen could do—perform a Christian religious act on secured school property while surrounded by players—simply because he is a coach,” it wrote. “Irrespective of the district’s views on that matter, a reasonable observer would conclude in light of the history and context surrounding Kennedy’s conduct that the district, ‘in actuality,’ favors religion, and prefers Christianity in particular,” the court said. As efforts to obtain a rehearing were unsuccessful, Kennedy sought for the U.S. Supreme Court to take up his case. Justice Alito outlined on Tuesday that while the court could not hear the appeal without additional insight into why the district fired Kennedy, he explained that the Ninth Circuit had misinterpreted case law, specifically the case of Garcetti v. Ceballos, and had contorted it to mean that teachers and coaches such as Kennedy can never pray within view of students—even if they are silently praying over their lunch. “According to the Ninth Circuit, public school teachers and coaches may be fired if they engage in any expression that the school does not like while they are on duty, and the Ninth Circuit appears to regard teachers and coaches as being on duty at all times from the moment they report for work to the moment they depart, provided that they are within the eyesight of students,” he wrote. The case will now return to the district court for further proceedings. Kennedy’s attorneys with the First Liberty Institute expressed an understanding of the high court’s decision, as well as a hopefulness that the coach will still succeed in the end.